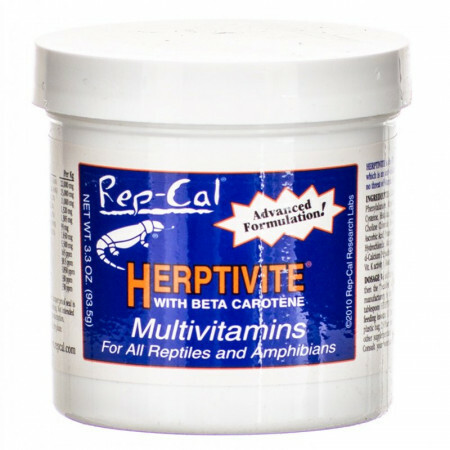 Rep Cal Herptivite is a superior multi-vitamin, multimineral and amino acid food supplement developed from the latest findings in reptile and amphibian nutritional research. Its formulation contains all natural source ingredients with a base of "sea vegetation." Unlike other companies which use non-nutritional "bases," Rep-Cal's "sea vegetation" base is rich in essential trace elements and minerals. Furthermore, Herptivite contains precise levels of vitamins and minerals combined in perfect balance to ensure correct utilization of protein and other essential nutrients for growth, reproduction, maintenance and many aspects of your reptile's bodily functions. 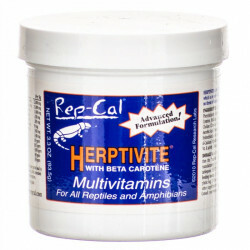 Rep Cal Herptivite is the first reptile supplement without Vitamin A. Instead, we use Beta Carotene which is an anti-oxidant that is converted into Vitamin A in a regulated way, so there is no threat of Vitamin A toxicity. 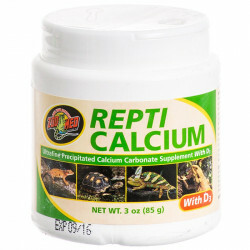 Make Rep-Cal Herptivite the dietary supplement of choice for your reptiles. LOVE this product as it's a great accompaniment to any reptile food, whether it's bugs, veggies or freeze-dried. I shop around a lot and PetMountain has the best price for this product. 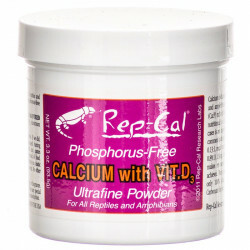 I have been using this product from my dart frog to chameleon. One of the best products on the market. A must for every reptile keeper. Recommended. This product is highly recommended. It's the only vitamin I give to my Iggy. I initially found it on the green iguana society website. Our beardie actually eats more worms when dusted with this. 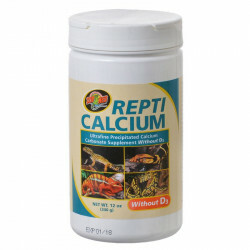 This is a wonderful brand of herp vitamins, the only one I use, along with their calcium.